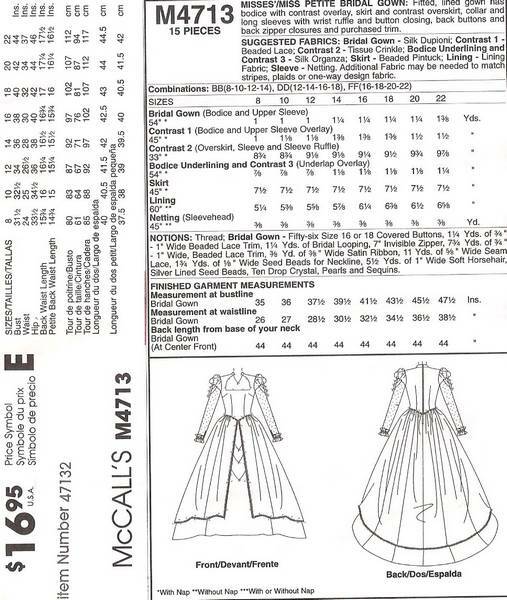 McCall's sewing pattern number 4713. Misses' Sizes 16, 18, 20 and 22 are all included. Fitted, lined gown has bodice with contrast overlay, skirt and contrast overskirt, collar and long sleeves with wrist ruffle and button closing. Back buttons and back zipper closures. Purchased trim.